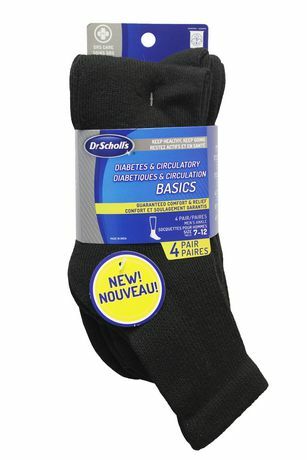 These socks are ideal for people with Diabetes or circulatory issues because they feature a soft-stretch, non-binding top that does not constrict your legs. They are cotton-free and latex-free to help avoid common allergic reactions, irritation, and excessive moisture absorption. These socks feature our FreeFlow® moisture dispersion technology to keep your feet dry, and an ultra-smooth Invisiseam® toe seam to prevent irritation and friction on your toes.